Don’t let a Little Resistance keep you from being great. 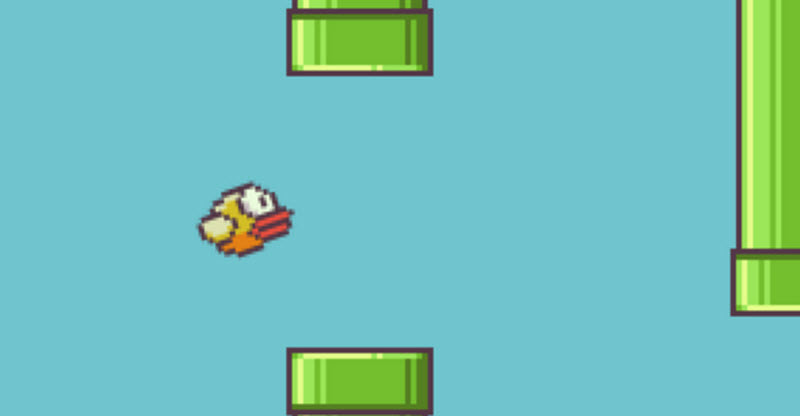 Do you remember the game Flappy Bird? No not Angry Birds, I am posting about the game Flappy Bird: A game created by Dong Nguyen that took the Mobil App market by storm for a short time. Nguyen was making $50,000 a day in ads off of the game and pulled the game during the height of its popularity. As much of a story that someone would cancel a top selling game and other people would sell the phones for over a thousand dollars just because the game was loaded on their phone. As interesting as all of this is, the most interesting thing to me was that the game started out very slowly in the app market. The game was not an over-night success. Most people claimed they loved it and hated it at the same time. As more people played the game it started to be tweeted 500,000 times a day. The app was one of the Top Ten Downloads and By Feb. 1, Flappy Bird was the number-one free game in 53 countries in the App Store. So would you pull one of the most popular apps in the world off the market? Remember Nguyen did not pull the app while it was moving slowly and almost looked like it would die on the vine. No during this time he was updating the game. The game did not become popular until Nguyen was met with resistance, people were actually hating the game as much as they were liking it. Nguyen did not let a little resistance keep him from creating one of the most popular apps at the beginning of 2014. He more than likely just wanted to make a game that was fun, not something offensive or just for the attention. So I ask you, will you let a few bumps in the road stop you from reaching your goals. Will you keep on chasing your dreams even if not a lot of people jump on your bandwagon or even if people stand in your way? If you are not causing harm to others and not just trying to steal the spotlight from someone else, will you let a little backlash keep you from your dreams? Dong Nguyen is not like most of us. A lot of us would have given up before reaching our goals. And for those of us who would have stuck around and made it, few of us would have pulled one of the Top Downloaded Free Apps while it is at the height of its popularity and bringing in thousands of dollars each hour of the day in ad revenue. He wasn’t being sued but did he use a little smoke and mirrors to make the game a success? Whatever the verdict, was it his own hype? Did the game just take off? Either way, it was not an over-night success. Dong Nguyen found the formula by sticking with it until it worked. Why he pulled the plug, we may never know the truth. Don’t let a little resistance keep you from make your dreams come true. Posted in: Information Age, Motivation	| Tagged: a, Don't, from, goals, hate, You.